Okay, I shouldn't call crochet 'crotch-et' but the truth of the matter is that this is what Blossom and I have always called it. It's not said in a derogatory tone, but with a lovingly familiar air such as one might call their precious toddler 'munchkin'. Know what I mean? Blossom is naturally good at crochet, I am not. ...and then she lost interest. She gave her squares to me when she moved her craft focus to beading and soon I'll be using them in a simple project you and I can make - but that's a blog post for another day. Back to crotch-et, um, sorry, CROCHET. Before losing my rather nice yellow crochet hook I made four face washers in varying bright cotton yarns and promptly gave them all away. Unable to find the lost crochet hook after turning the house upside down and inside out, I lamented not keeping one face washer for myself but chose to put aside any more crochet hours and simply mourned my loss for the next few years. But on my bookshelf stood a constant reminder that I truly adored crochet and would one day indulge again. Kath Kidston's 'Crochet' is actually a tin in the shape of a book and once opened reveals a promise to the hopeful crotch-et crochet apprentice that she can create something rather cheery in no time at all! And why, you ask, do I have this sudden rush of crochet-thought? 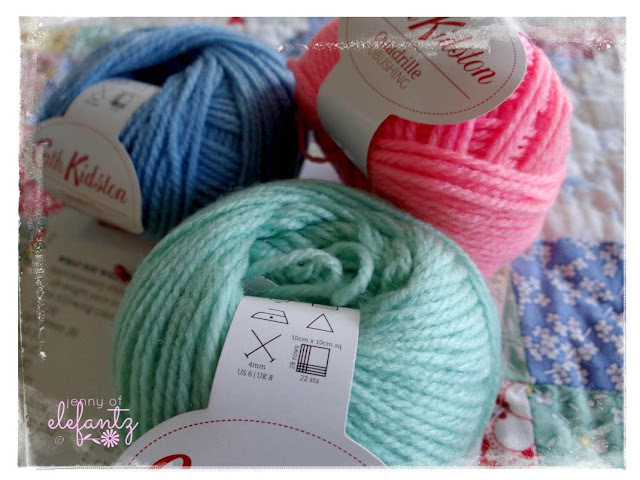 Why have I pulled my 4 year old and never-used Cath Kidston tin of yarn off the shelf? Answer: I was doing the weekly grocery shop. 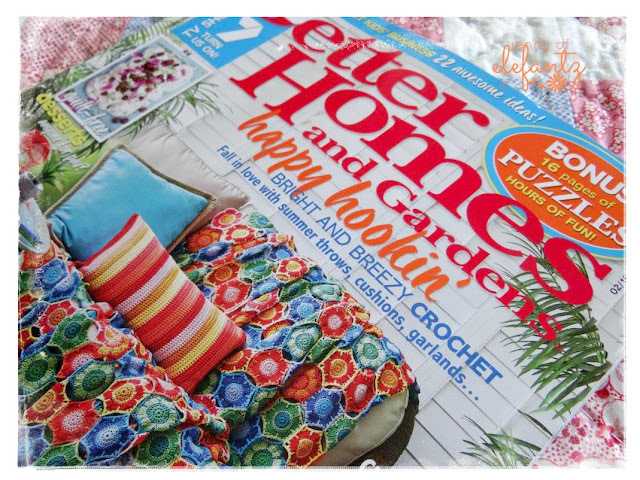 My eye had caught the current Better Homes & Gardens magazine at the supermarket checkout. I rarely buy this magazine but I saw that crochet rug on the cover and inside were more delicious crochet things, and well...a spark ignited and I had to have it. I mean, these are gorgeous things to make, right? You can see why this issue had to come home with me, yeh? "What in the world are you thinking?! You cannot do this, silly girl. What a waste of money it will be to buy yarn that will never be used because it will be too hard, take too long, and remain a barely attempted UFO forever." I pack the groceries away, brew a coffee, slice a thick piece of Amish Cinnamon Cake, and examine the crochet pages of the magazine. Yes, this is way beyond me at the moment. So I take the Kath Kidston "Crochet" tin from the bookshelf and decide to begin at the beginning. One afternoon a week I will gather yarn and hook and choose a good audio book to pop in the stereo. From there a journey shall be explored, a craft shall be learned properly, and finally I shall know what a treble and a double chain really are. Not overwhelming at all, I'm thinking. 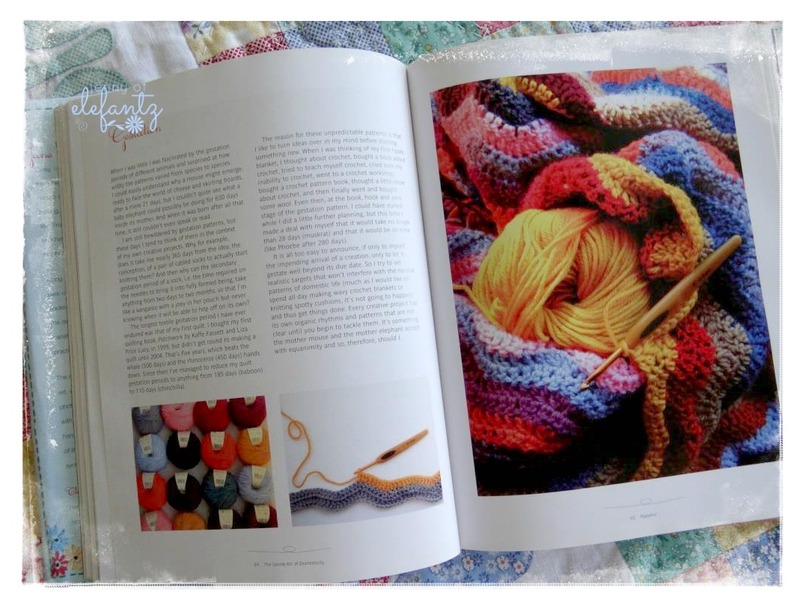 I should confess that I have been admiring from afar a few beautiful crochet-esque blogs for years. If you'd like even more inspiration visit my Crochet Dreamin' Pinterest Board HERE because it's loaded with sumptuous handmade temptation. Today I'm spending time with my sweet Blossom-girl, and I guess it's okay to tell you now that she's in the 'mothering way'...3 months along in fact. Is she? YES! YES! YES! She's going to be the most wonderful mummy ever, I'm sure. Prayers for a safe, healthy and happy pregnancy with an armful of baby joy in six months time would be much appreciated. Whoo Hoo. Congrats to Blossom and for you Grandma. Congrats on Blossom's adventure of motherhood and a big hug to you. I started crocheting properly a couple of years ago making ripple baby blankets for the women's refuge. Last year I did the crochet-along with Spice of Life blog and made the lovely blanket while learning many different crochet stitches. Now I am trying out crocheted hexies. I was always a knitter but I now prefer crocheting as it is more rythmic and meditative , easy to unpull and redo when necessary, and grows far more quickly. Have fun. Congratulations to Blossom and her partner, prayers all goes well. A very talented lady like you Jenny will have NO problems learning crochet, I find Youtube to be an excellent teacher for most stitches. Just so you know Aust and the USA have slightly different terms for the various crochet stitches. You can do a search and there are heaps of comparison sites on the web. Take care and enjoy the journey, Guida. Are there some little pitter patter of tiny feet on the way... How exciting !!! Good on you, Jenny. It is never too late to learn something new. I too am trying to improve my crochet and knitting skills. YouTube tutorials are a great help. Congratulations to Blossom. I can well imagine how happy you both must be. Beautiful Jenny ... it made me smile so much because I have that very same Cath Kidston tin full of coloured wool etc ... which I bought because I loved the tin so much. I have never done a single thing with it apart from admire it on my shelf. My friend Shirley tried to teach me to crochet & when she got home that day she didnt know whether to take two panadol or a stiff drink !!!!!!!! I love crochet too, and I like to get busy and make some of my own work occasionally. There are so many pretty patterns and yarn out there these days, no longer just a plain granny square. I've been really enjoying crochet lately! I'm not sure if BH&G magazine is the same here in the US or not, but I'm going to look for it, lol. Another favorite blog of mine is Moogleblog.com. I joined a few crochet groups on facebook and boy, they sure are creative and inspiring groups! 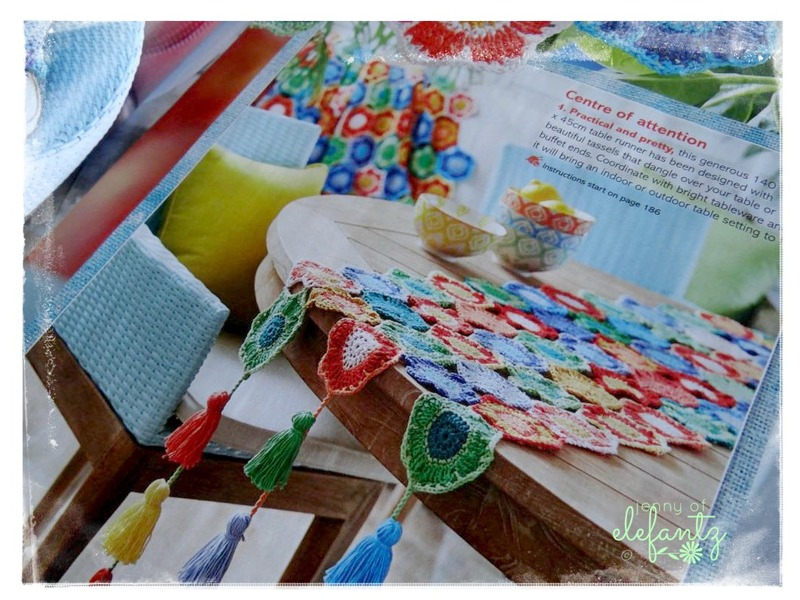 I'm looking forward to seeing your crochet progress -- and I have no doubt that you'll be able to master it! Congrats on the newest addition to the Elefantz family. Blossom is going to be a great mom. And you Jenny, it's time for you to watch your beautiful Blossom blossom into the wonderful mom you know she will be. How can she not with someone like you to watch and learn from? I know you and Blossom are going to be thinking more about baby's room type crafts. Can't wait to see whatever you two come up with and are willing to share. Crocheting is something I also enjoy. As has been said above You Tube has a great many videos to help. I like Mikey on the Crochet Crowd the best. He's from Canada so you will need conversion charts (easy to find on the web)to work things out. Sometimes I don't really listen as much as watch what he is doing and succeed. There are several more on the web that I find I am able to follow along with. If you want a list I'll gladly send you some of my favorites to watch. They make shawls, afghans, bags, hot pads & other kitchen stuff, and of course baby things, etc. All the ones I have tried are fairly easy I think. Congratulations Granny! awesome, exciting news! Love the crochet projects. I watched Youtube video's to learn how. I make crochet from childhood. My granny learn to my. Crochet is a reflexion moment, a rest moment with my hands working. As our time fregar los platos, but more pleasingt :) You and your family are in my prayers. congratulations to you & Blossom! perhaps she may decide to get back into crochet now she has a new little one on the way? 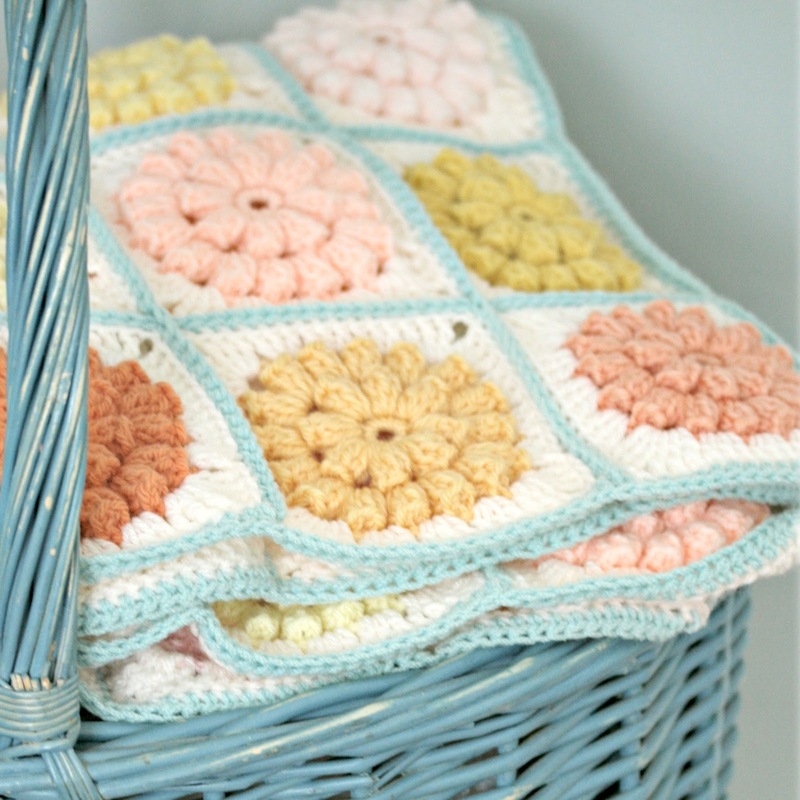 a gorgeous cot or pram blanket (or both) to welcome her/him in? 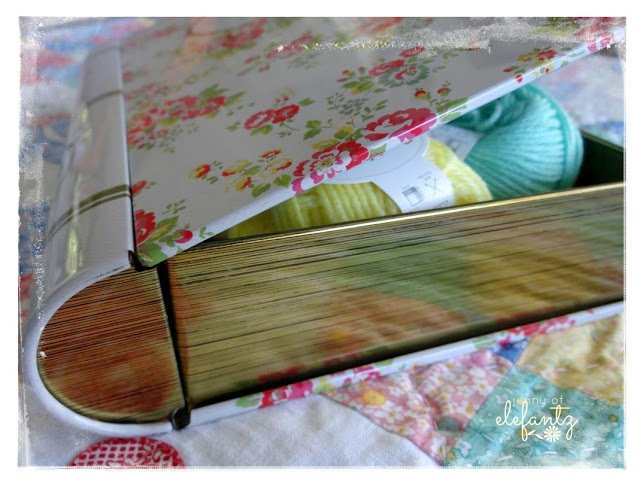 i follow some of those blogs too, love Attic24s crochet blankets too! so very cheerful! Good luck with your crochet journey. 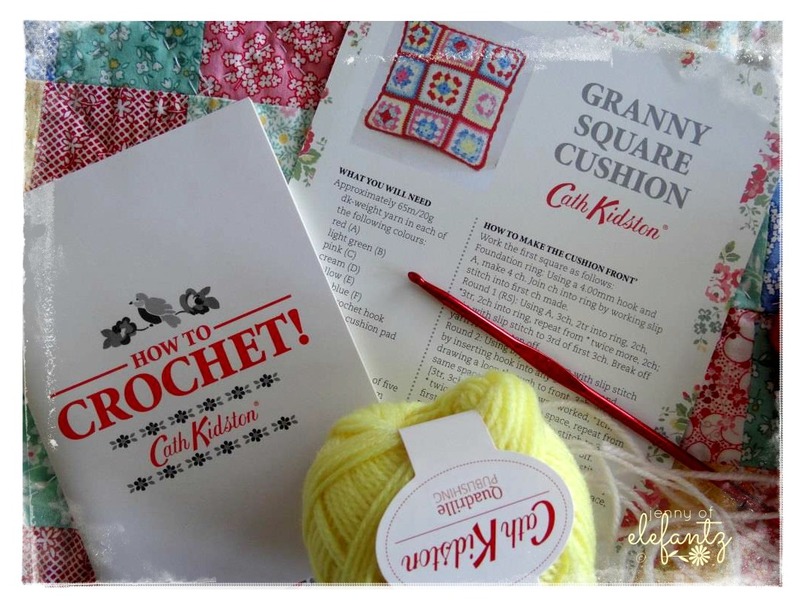 One thing to bear in mind is that Kath will use British crochet terms which are different to US crochet terms! Congrats to Blossom. My hope that it will happen for me is fading. 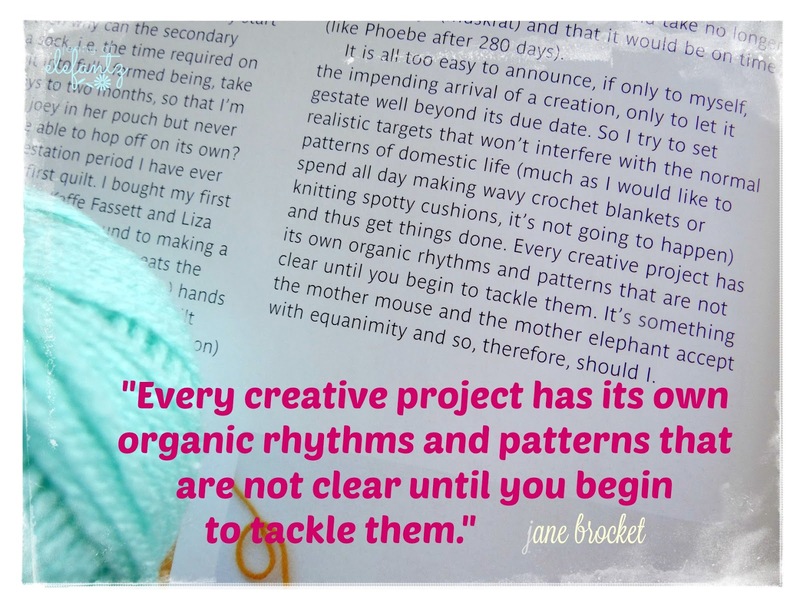 I am cracking up over this post - Jenny dear, my mom and I ALWAYS called crochet "crotch-et"!!!!!!! She'd pick up her yarn and hook and say she was feeling crotchety today. I'd beg her to teach me, but she was left-handed and said she couldn't - so I taught myself. I LOVED to crochet. I used to do Fisherman's style, like the knitting, with cables and popcorns and basketweaves - that was my fave - that and making flowers. I'll have to take a pic of the ONE afghan I kept for myself, lol. I had to quit as it bothered my wrist so bad, which is when I picked up quilting! If I was there I'd sit right down with you, brew a pot and have some lessons. You're really going to enjoy this journey! So excited about Blossom, is she going to find out the gender? Give her a hug for me!!! "Aunt Allie" is praying for a safe, healthy pregnancy and baby for her! Your blogs always have a lot of impact but this one sure had a big surprise in it! You must be excited beyond measure. The waiting time can be so much fun. Shopping will take on a new meaning! Wow! I always have some sort of crochet blanket in the making. This year I have moved to a CAL that has really stretched my abilities and I am try to finish for my oldest artist daughter. There are always some sort of CAL going on in blogland, as many as the QAL's. Which I have found to keep me in some sort of want to do it all. When will I ever finish or even start everything I want to do? I know it is impossible and have been trying to put the breaks on. You my friend give make me think every time I visit you that I need to be more practical in my choices I make. Right now I am trying to be a finisher, but of course your BOM that you have posted and the new Splendid Sampler are calling my name along with a couple of CAL. Oh Boy! Congrats to Blossom! I don't have a clue how to crochet, but, I do love spool pin doilies, that others make, for my sewing machines. Congratulations on the new addition to your family. With all of your talents, I am certain that you will become proficient in the art and craft of crochet. Just think of all the sweet baby items you can make! Good Morning Jenny! Congratulations on being a Grandma again! My prayers pretty much always include you and your family, but special prayers will go out today. Our family found out that my Niece is expecting; this will be the first baby in our immediate family since my brothers last son was born, he is now 21. So my sewing machine and I are creating smoke with all of the projects and speed at which I am getting them done. LOL. I used to crochet, but developed corpal tunnel in one of hands between the thumb and wrist. Crocheting caused so much pain and swelling that I had to make a choice of giving it up or surgery and I chose giving it up. But you are right, there are so many fabulous items to create and with all of the gorgeous new colors available that is an added bonus for learning. I truly hope that you have a wonderful time learning and creating projects. Have a fantastic creative day! Congratulations to the whole family! Babies are so precious! It will be lovely for you to have a grandbaby close by to love on. Prayers for Blossom to feel well and have a beautiful pregnancy. Many of the ladies in our home love crochet especially in winter - they produce the most amazing work (I think). There is nothing more satisfying than sitting around the fire on a blustery winters evening with crochet going on. All I can say Jenny is just go slow and enjoy yourself once you pick up the rhythm of the various stitches you'll be fine...just be aware that UK and US stitch terminologys are different when choosing a pattern( like buying books )the Better homes and Gardens pattern will be the UK version I saw this one as well but as I have so many blankets on the go at the moment I resisted buying it but will look with great interest how yours progresses when you start on it, good luck and just shoot me an email if you get stuck :) Barb. Welcome back to the crochet boat Jenny, I think crochet is the most relaxing of the creative things I do. I always have a 'no brain' crochet project on the go. Oh Jenny such wonderful news for you all and so exciting. Congratulations to Blossom. 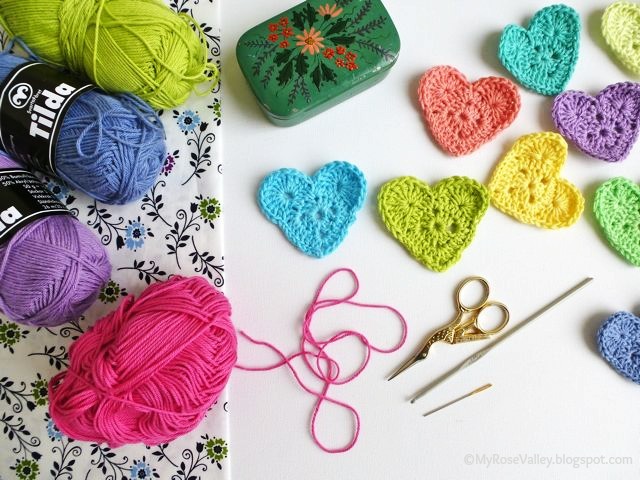 Re your venture towards crochet. You will love it. Don't try making too large a project at first. I have made cushion covers and blankets from both Attic 24 and Anarzard ideas.I am crocheting a lovely shabby chic slouch bag at the moment and really enjoying it. I must also finish an all white crochet lap rug from an idea from Anarzard. I used to crochet it while visiting my Mother in the rest home and stay with her for a few hours. She has since died but I want to finish it for me now. Hugs Shirley P.S. I tried to teach Julie from my threadbear cottage. What a giggle. Didn't quite take that stiff drink she thought I might take.I hope she may try again. And she's close by, the best part of it all! 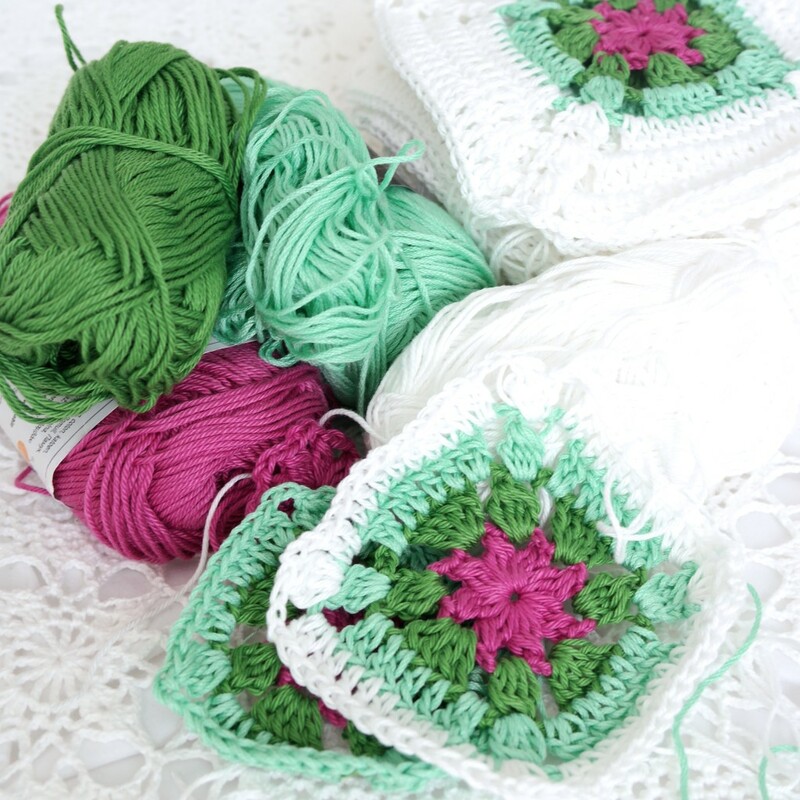 So are you going to crochet a little baby blanket? 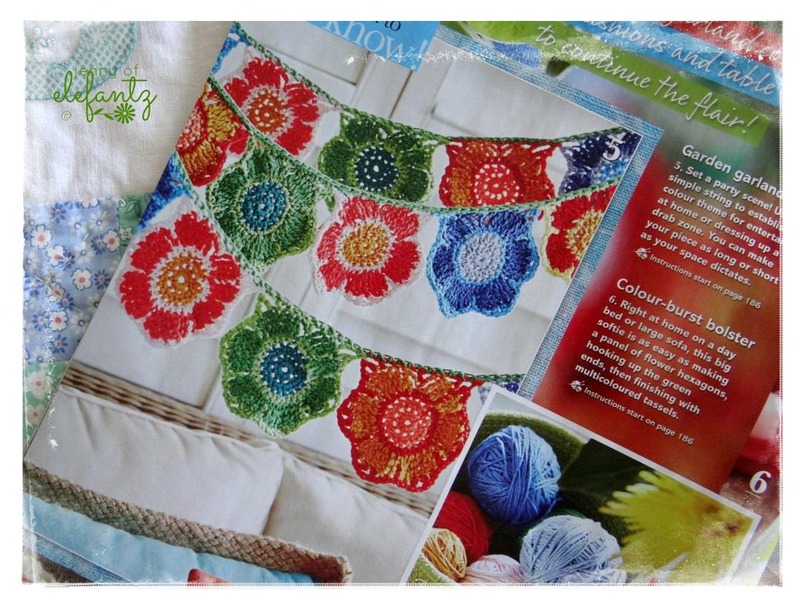 I know an incredibly easy pattern - so easy, that I've remembered it for 40+ years! I like crochet, but I don't do it very often any more because the repetitive motion hurts my right wrist if I do very much. Best of lucky with your afternoons. I look forward to seeing what you do, and what you make with Blossom's squares! Oh. My. Goodness! What WONDERFUL news! Congrats to all !! By the way...my aunt and I have always called it crotch-et! My poor grandmother used to pretend to be so "ashamed" of the way we said it, but there was always a slight grin to her mouth and twinkle in her eye! Thank you for such FUN memories!!! Of course! Prayers for a safe, healthy and happy pregnancy with an armful of baby joy in six months time. How wonderful for all. Yay! for Blossom. You know I don't crochet either. I remember a bit when I was young but not for years and years. 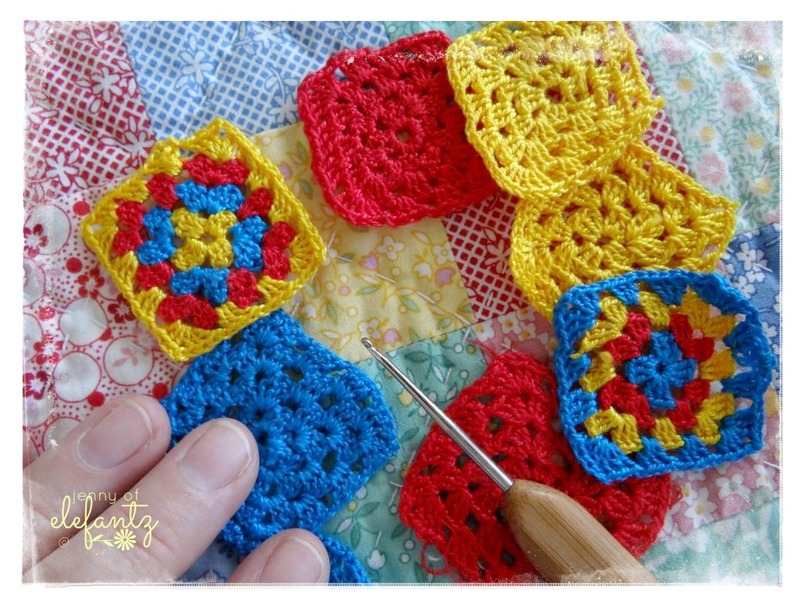 I would like to do one of those quilts with squares that are attached by crochet. They look lovely! Congratulations to you both, well all the family really. I'm in the midst of a crocheting spell making blankets. I've been guilty of starting things & abandoning them too but I've started making things with deadlines, Christmas, birthday etc & that really spurs me on. The last one was a mermaid's tail a Christmas present for my granddaughter Lauren. Sadly it was such a rush I forgot to take a photo. Next is a pretty daisy throw for grandniece Ella. I could never get the hang of crochet until I was pregnant & saw that the nicest baby matinee coats were crochet. That really motivated me. I bought a pattern book with instructions, 4 ply wool & a crochet hook when I left work & off I went. I've used the same patterns for over forty years. So happy baby crochet-ing! How very exciting for you and Blossom and what wonderful news. And what a great opportunity to make baby things!